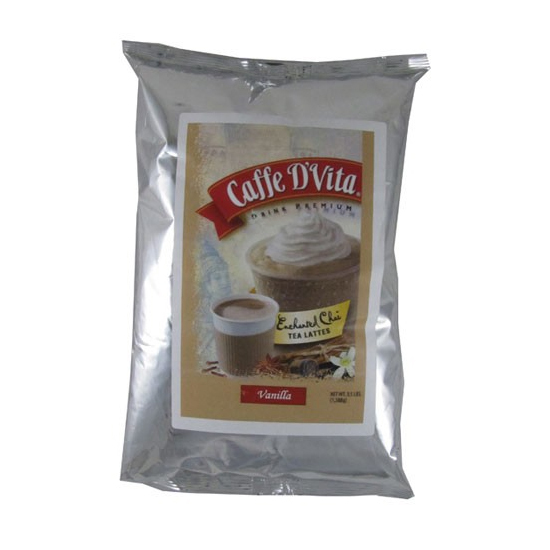 Caffe D'Vita Enchanted Chai Vanilla Tea Latte is a comforting blend of exotic tea, spices, and milk that can be enjoyed anytime iced, blended, or hot. TeaZone Black Tea Leaves 'Vintage Blend' | 18 Bags/ctn - 1 PACK | T1032A TeaZone Black (Red) Tea Leaves | 240 g x 25 Bag / Case | T1030 MoCafe Tea Latte Base Matcha Green Tea | 3.0 lb bag | P7511 MatchaDNA Certified Organic Black Tea, 3 Oz. 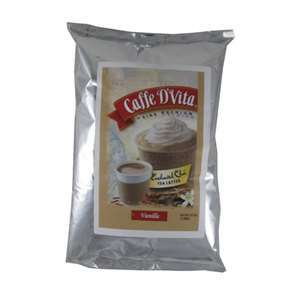 Cha Thai Thai Tea Leaves | 13 oz Bag | T1035 Big Train NO Sugar Added Vanilla Chai Tea Latte Mix | 3.5 lbs bag | P6011 Big Train Chocolate Chai Tea Powder | 3.5 lbs bag | P6039 MatchaDNA Certified Organic Matcha Green Tea, 10 Oz.